HP and UAE authorities have conducted a number of highly successful operations throughout 2018, to disrupt the trade of counterfeit HP branded cartridges locally and internationally. From July through to December 2018, UAE officials raided a number of clandestine workshops and private residences in Abu Dhabi and Dubai, where significant volumes of illicit, HP-branded products were concealed. As a result, these anti-counterfeiting successes have resulted in over 450,000 illicit items seized, and the criminal rings – who were both assembling and distributing the goods – seriously disrupted. 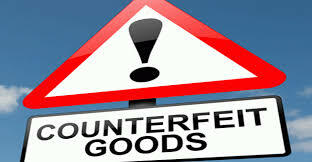 Counterfeiting is a crime. For users, such illegal imitations can cause a multitude of problems that can cause performance and reliability issues. Should your printer break because of using counterfeit printer ink or toner, you could also have issues with your manufacturer’s warranty becoming not applicable.